accommodated. Evan had cookies and cream ice cream for dessert and practically licked the dish clean (and probably would have if we weren’t at such a fancy place). We had such a great experience at Ocean Prime, anyone of us would recommend it! 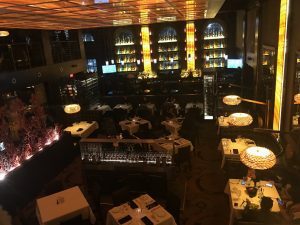 The great part about Restaurant Week is that you can try a multitude of great restaurants, so try out Ocean Prime and three other restaurants this week (or six if you go out for lunch and dinner every day)! So find a group or just your S.O and make a reservation through OpenTable (if available through the Restaurant Week listing. And do it soon because you have until Friday February 3rd to partake in the glory of Restaurant Week! While your there, give us a shout out on Facebook, Twitter, and Instagram! Happy SEPTAdventuring and Restaurant Week partaking!